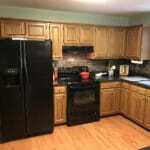 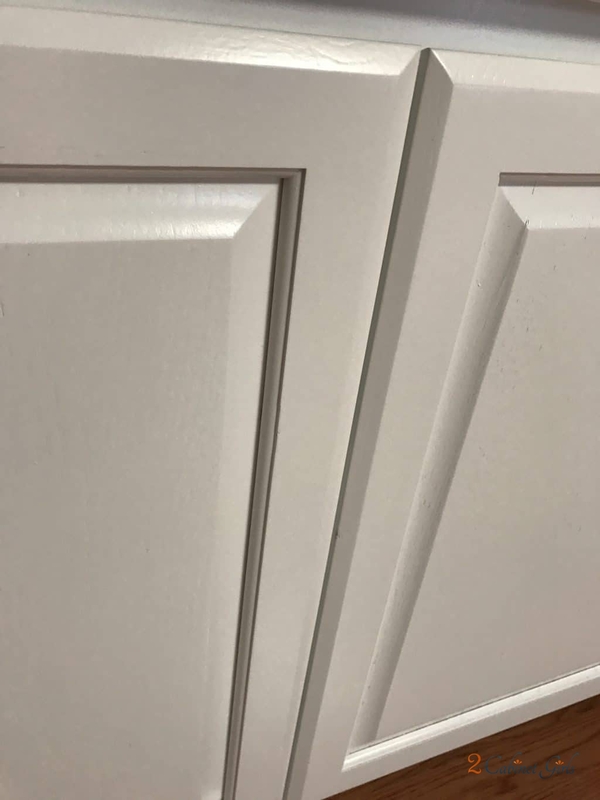 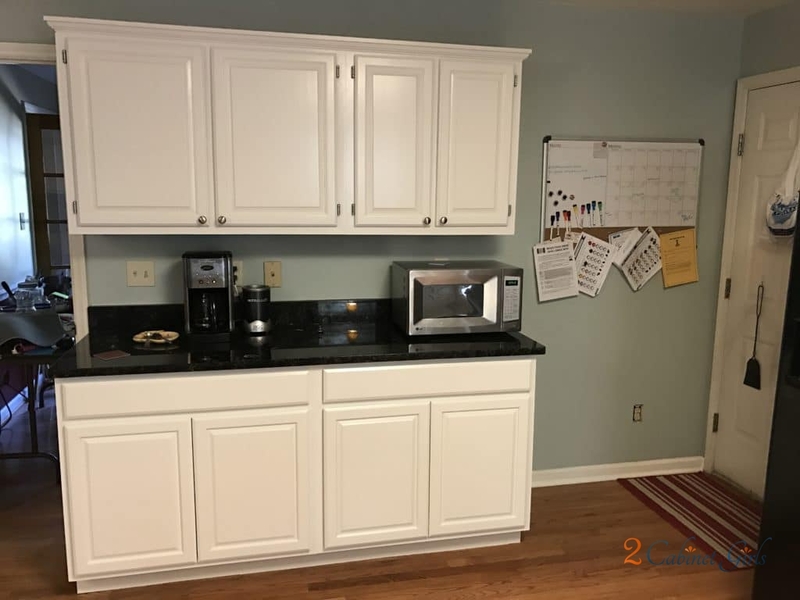 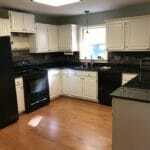 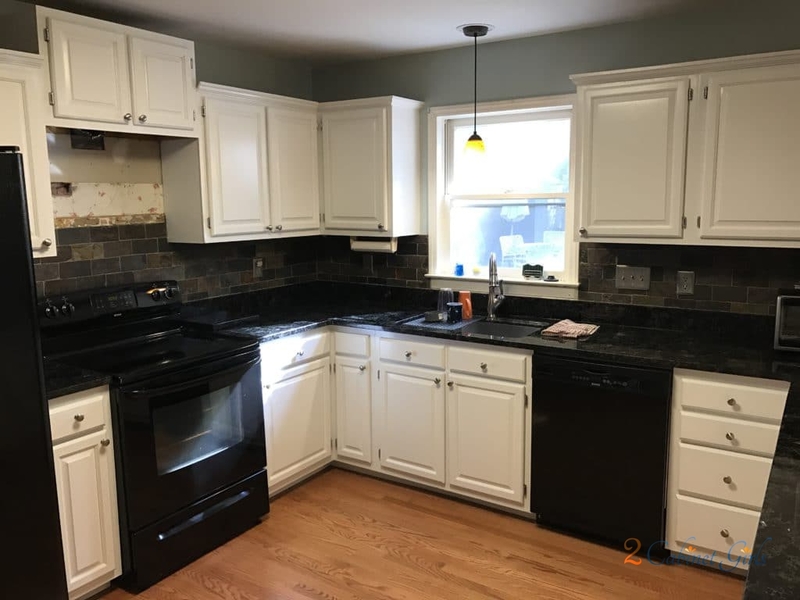 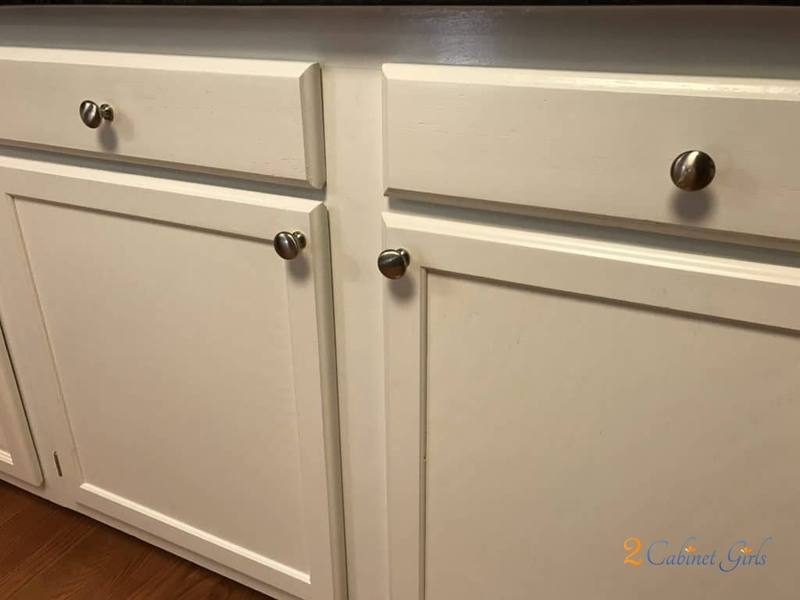 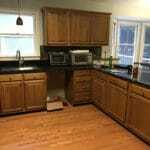 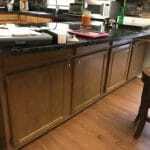 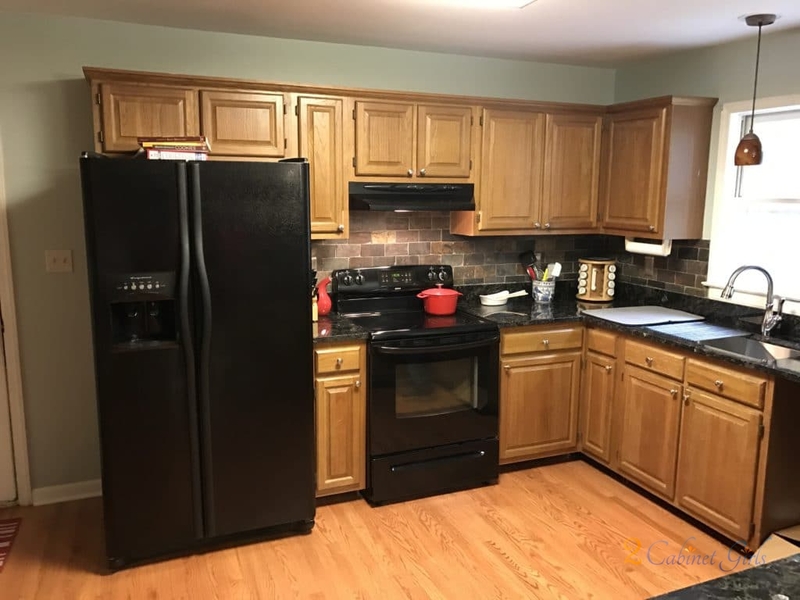 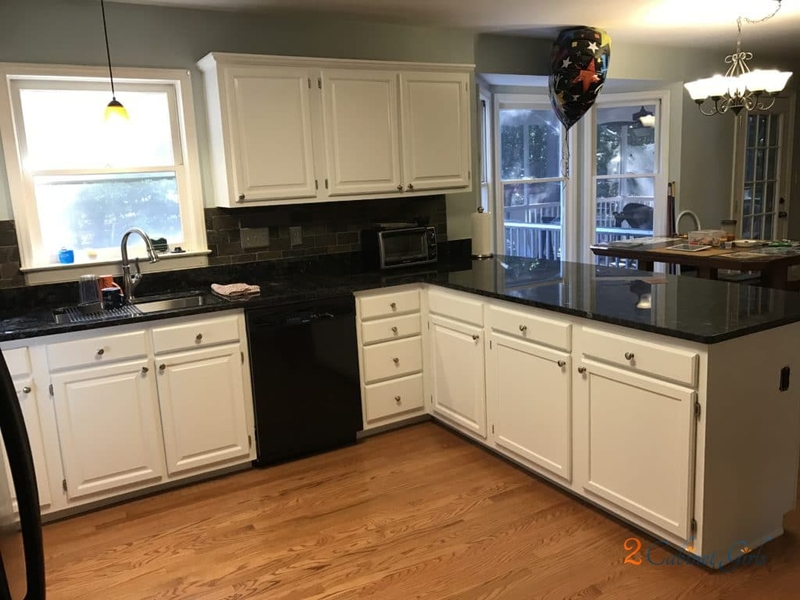 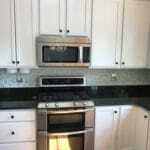 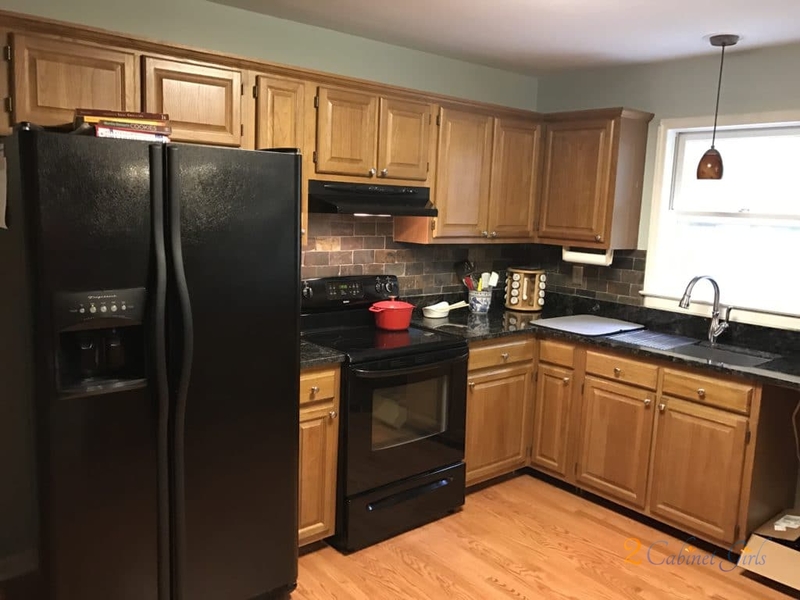 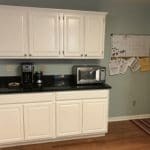 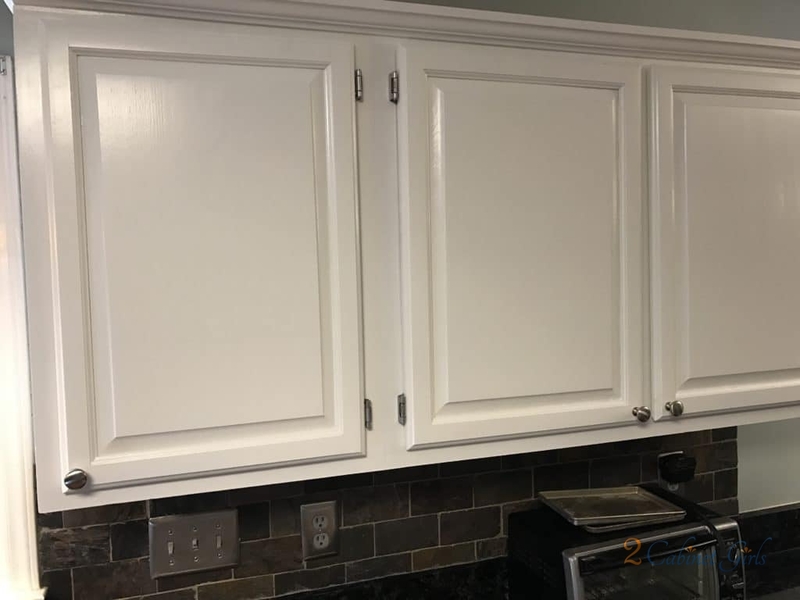 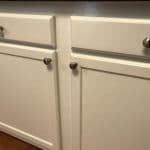 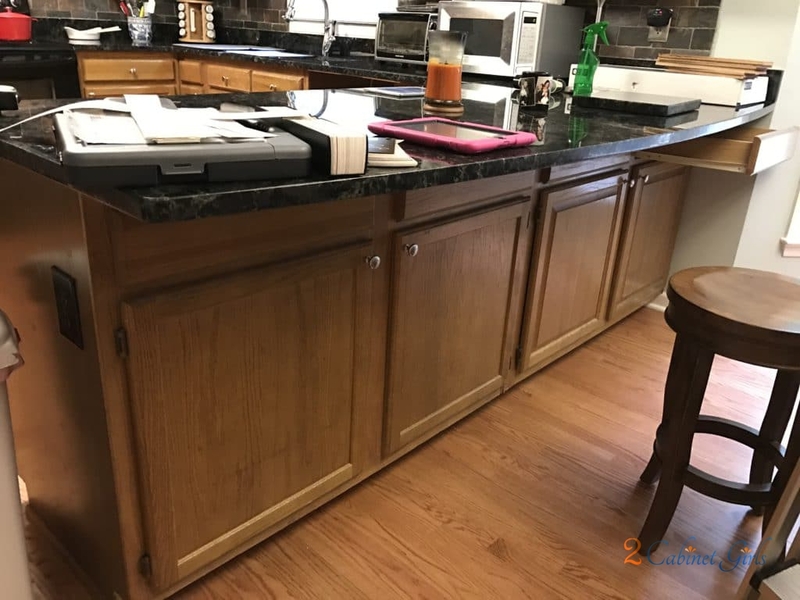 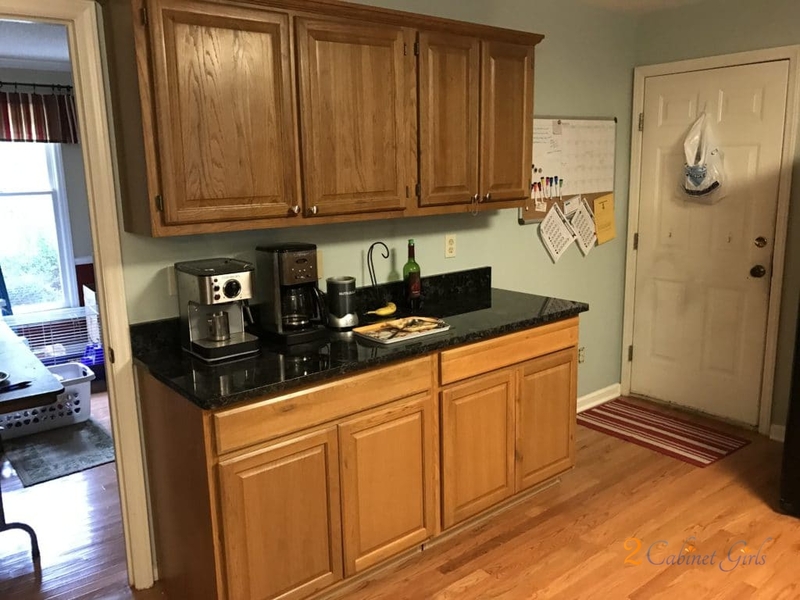 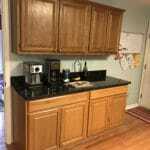 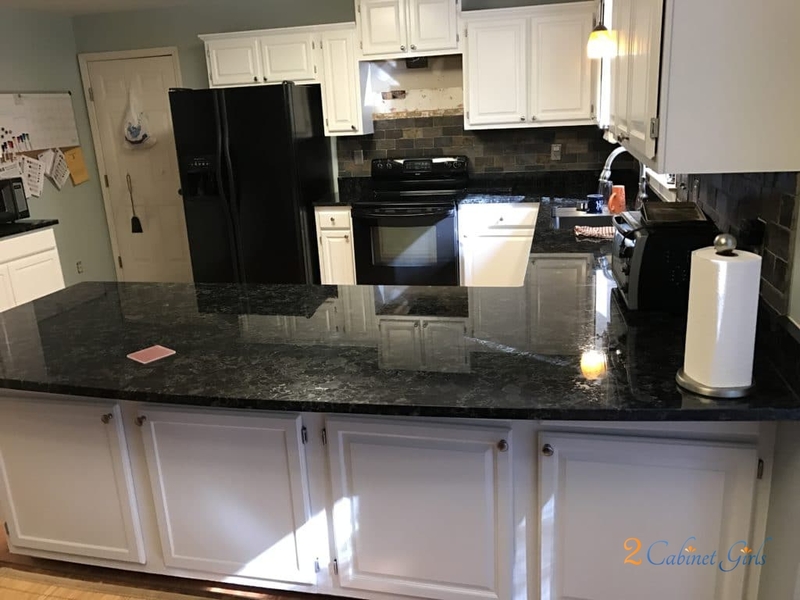 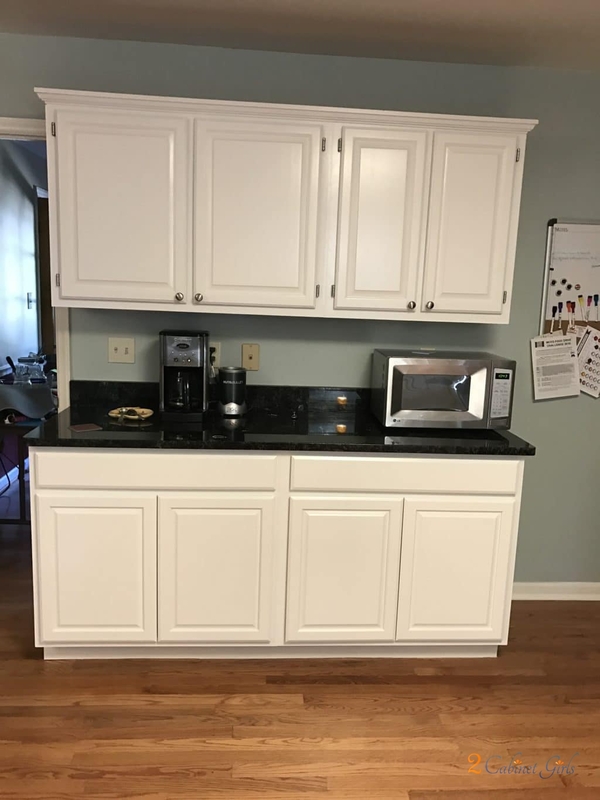 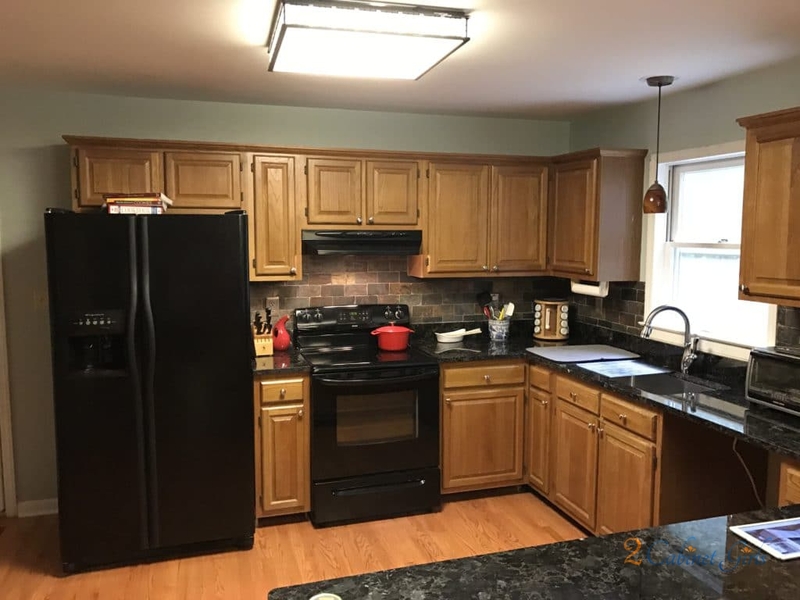 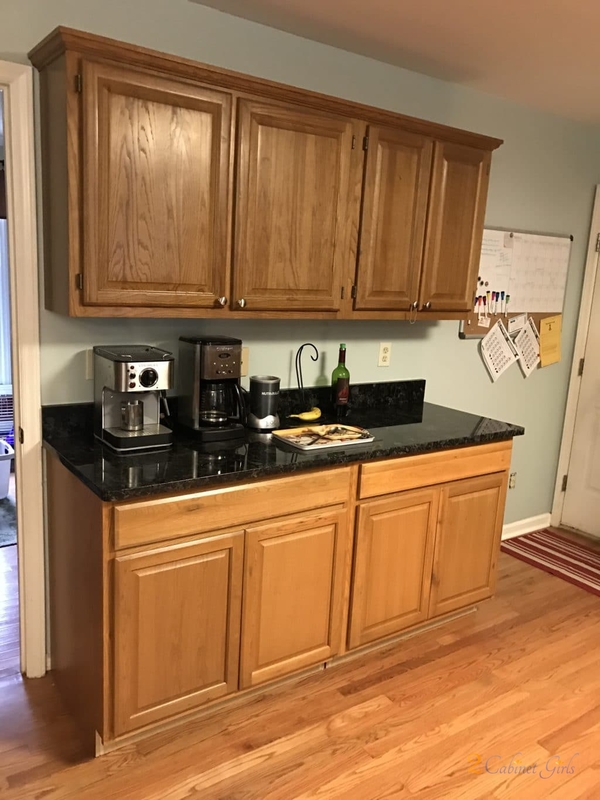 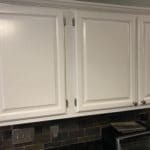 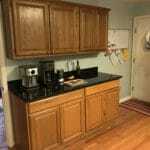 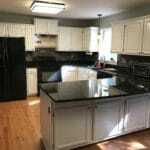 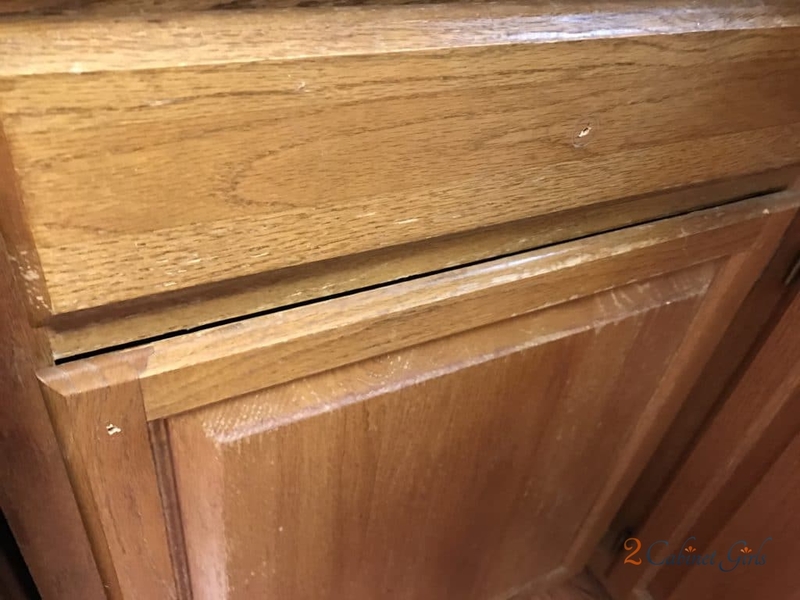 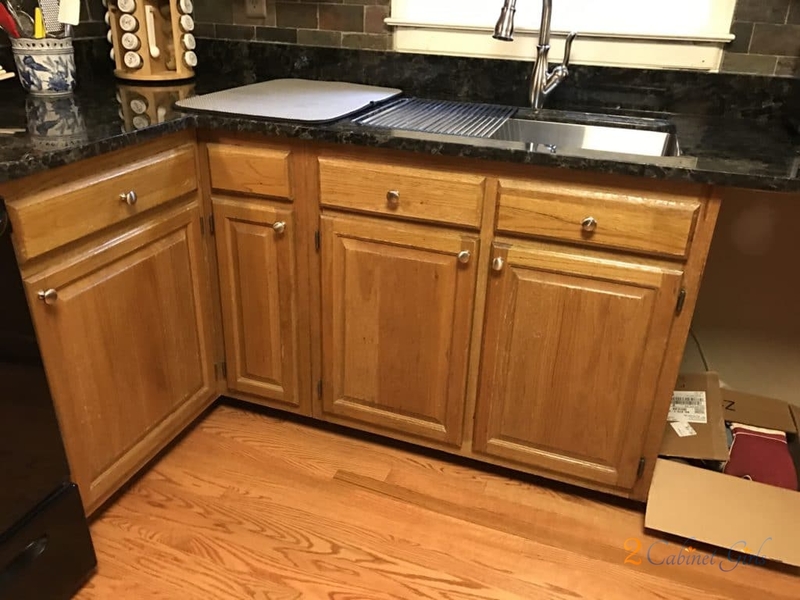 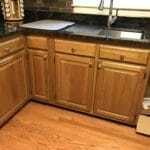 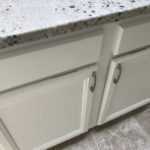 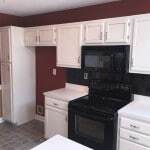 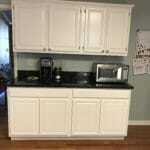 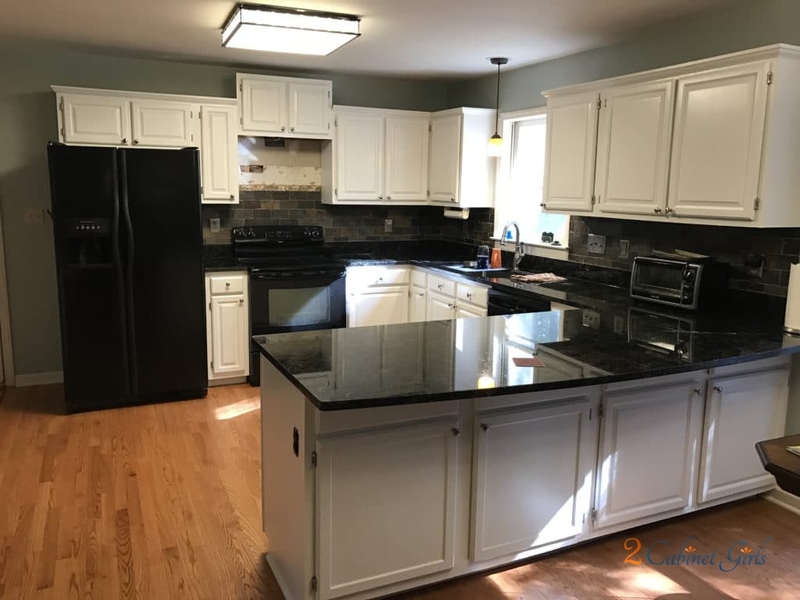 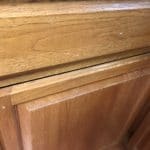 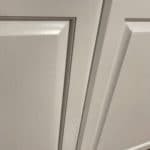 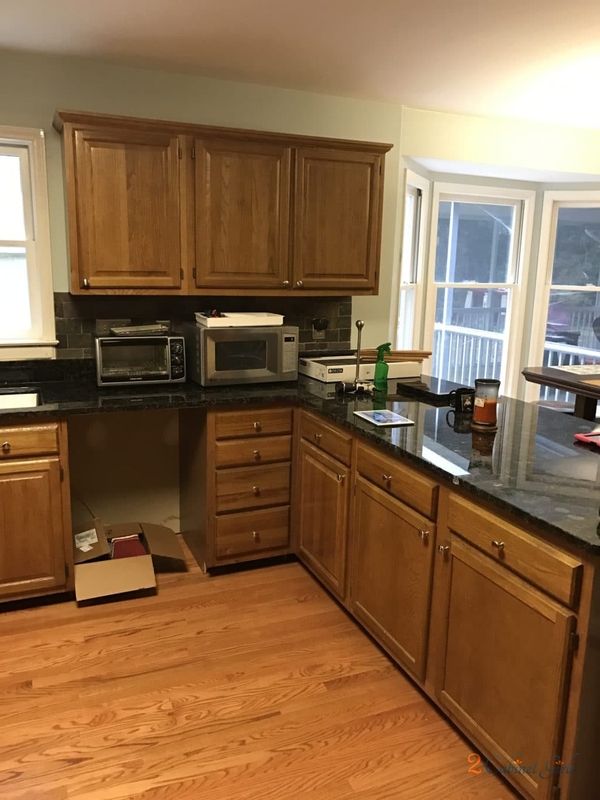 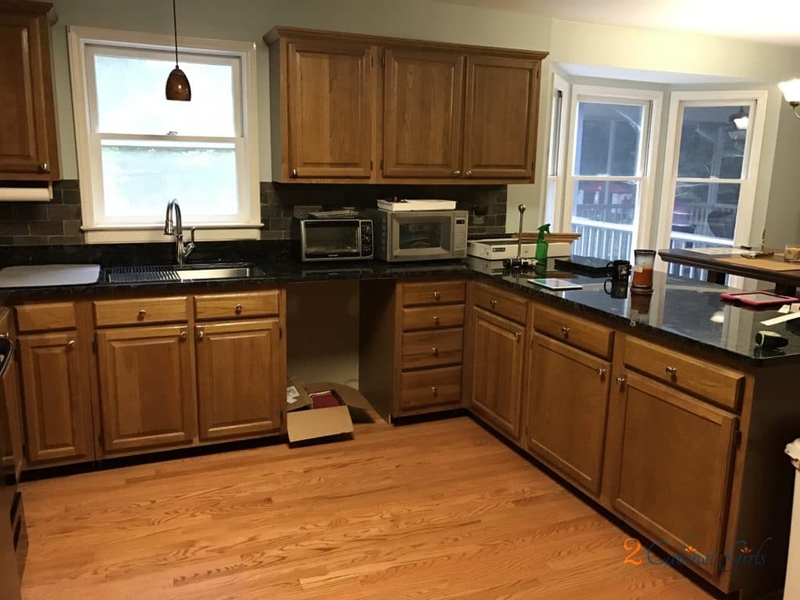 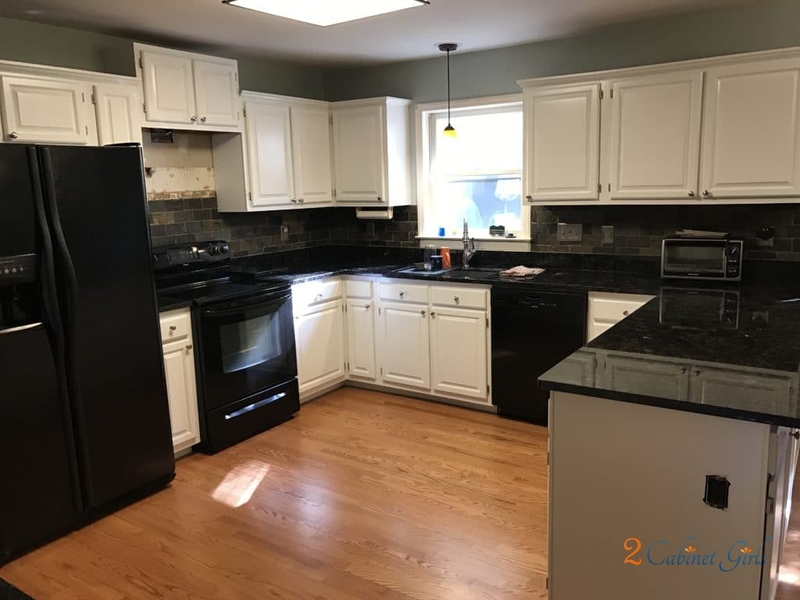 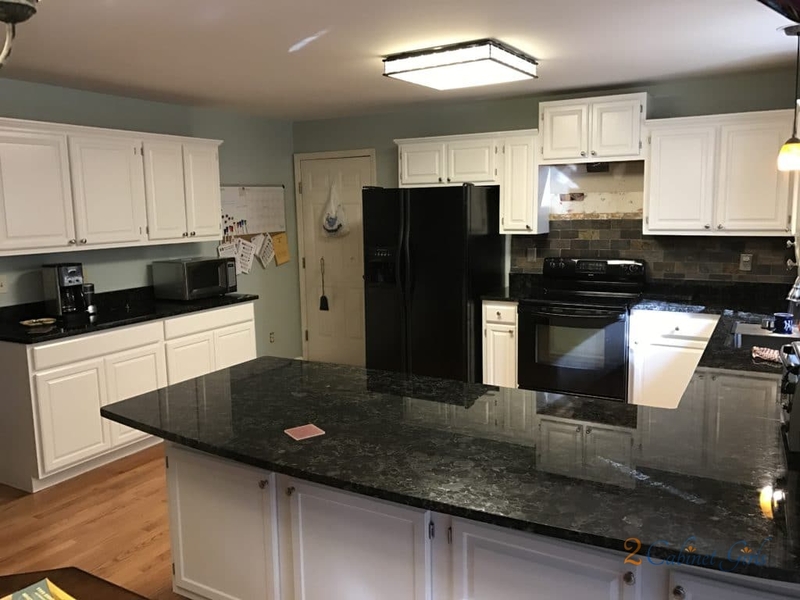 My homeowner had reconfigured some of the cabinets, and added a new section, so to help tie them all together he chose Sherwin Williams Extra White for the cabinets. 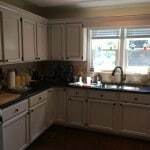 The room doesn’t get a lot of natural light so the bright white really helped to lighten things up a bit. 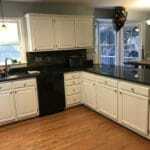 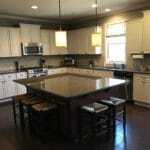 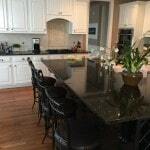 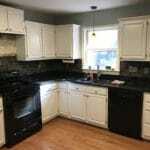 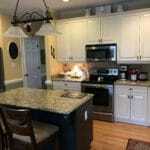 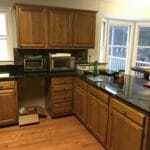 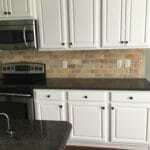 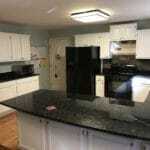 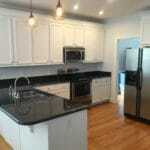 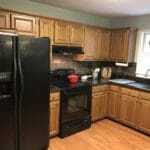 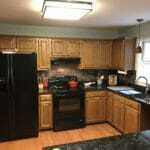 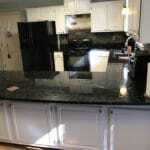 And it really helps to show off the new slate backsplash and black granite.